It's been a while since we offered something for our readers. Our latest giveaway offers you a chance of winning one of Peak Design’s award winning Kickstarter bags: the Everyday Tote! 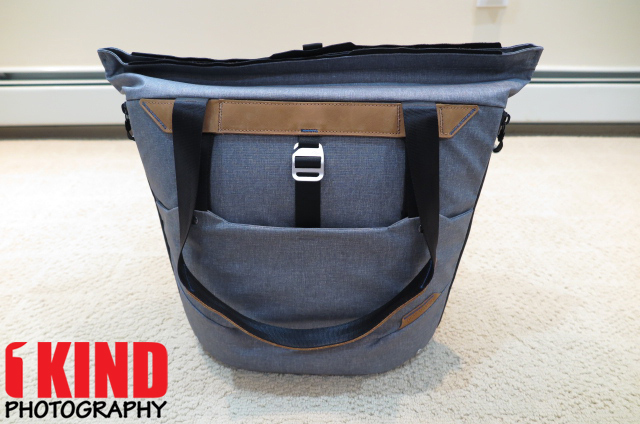 With the success of the Everyday Messenger bag, Peak Design has expanded their bags line known as the Everyday Bag Line "designed around the workflows of photographers, creatives, travelers, and commuters". The latest Kickstarter campaign has just over 26,000 backers, making it the "most funded bag ever". The new series brings us various styles of the Everyday bag including a backpack, tote, and sling. Now is your chance to own the Everyday Tote before anyone else. Don't forget to check out our full review. There are 6 ways to enter so you could earn up to 6 entries total! For your chance to win the Everyday Tote, simply enter below, good luck! Disclaimer: Prize is a media sample and may show signs of loose thread, rough corners and slight asymmetrical around the edges. However, these are near final production products.